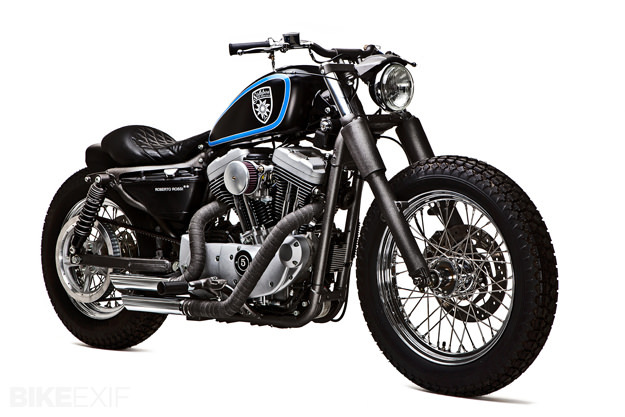 Roberto Rossi is one of Italy’s best-known Harley-Davidson concessionarias. He’s also got petrol coursing through his veins. His dealership includes a museum: a showcase for a personal collection of classic motorcycles bolstered by an authentic Mille Miglia Alfa Romeo 1750 GS Zagato (once owned by Tazio Nuvolari) and vintage tractors. 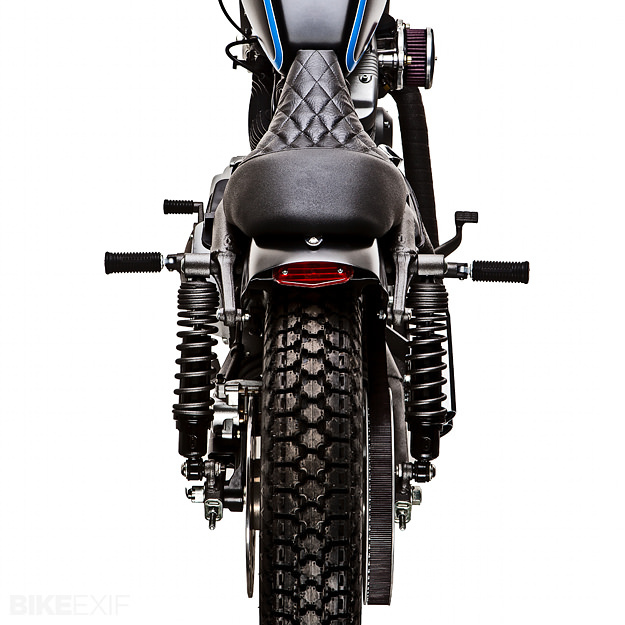 Rossi often turns his hand to custom motorcycles, and this is his latest. He describes it as “An unconventional Sportster modified for mountain joyrides,”—hence the name Stellalpina (Alpine star). 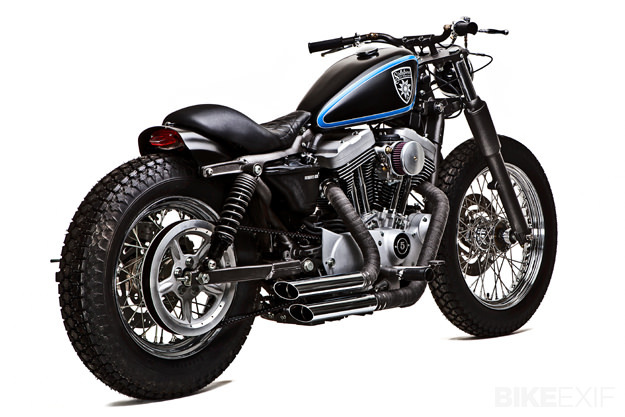 The core of this bike is a 2004 Harley-Davidson Sportster 1200, but Rossi has modified the tank—now set lower and further back—and shortened the rear subframe. 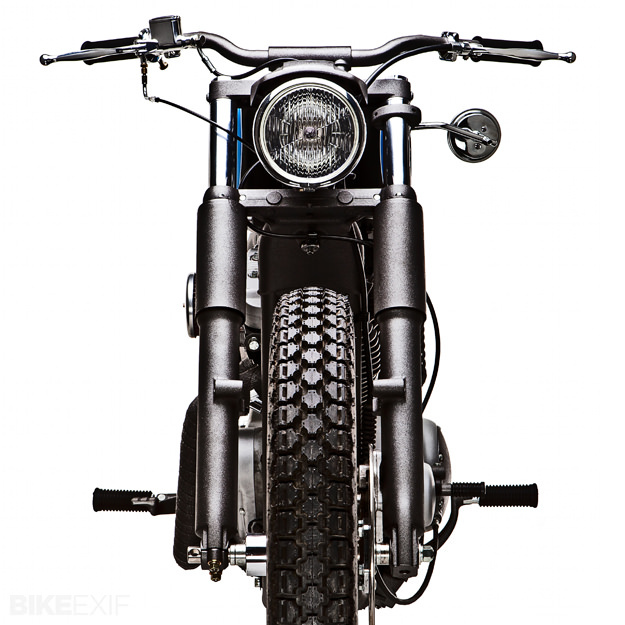 Large-diameter Fat Boy forks have been grafted on, and the tires are now Firestone scrambler-style rubber, 19” at the front and 16” at the back. 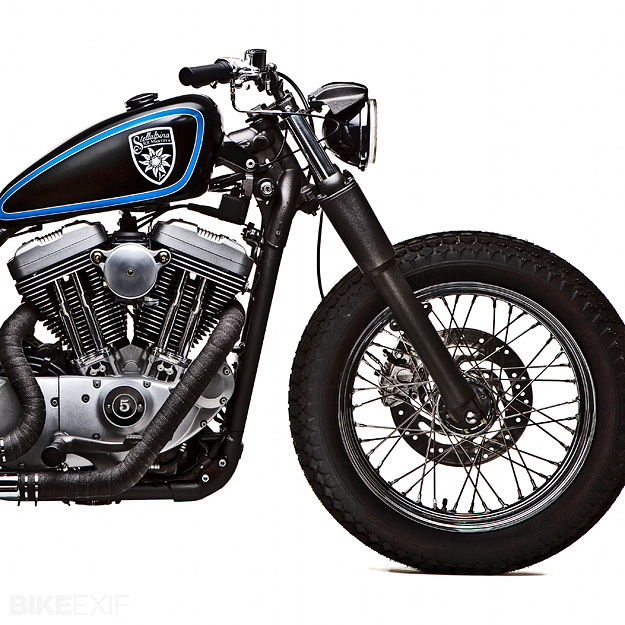 The back fender is a modified Softail fitment. The front light is Bates, and the rear is Lucas. 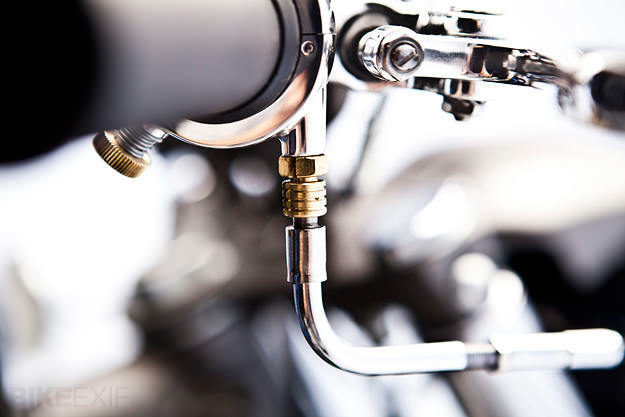 The bars, diamond-stitched leather seat and exhaust system of Stellalpina are all custom-fabricated. It’s a clean and purposeful look, as much about function as form. The Sportster 1200 carries its weight lower, and is better suited to the twists and turns of alpine roads. “The top of the mountain now is closer,” says Rossi.